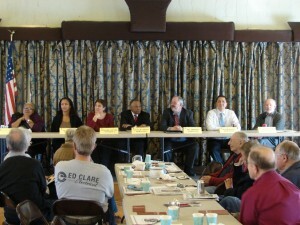 All seven candidates were in attendance for a forum at the Kiwanis Club luncheon meeting on Tuesday, March 1st. 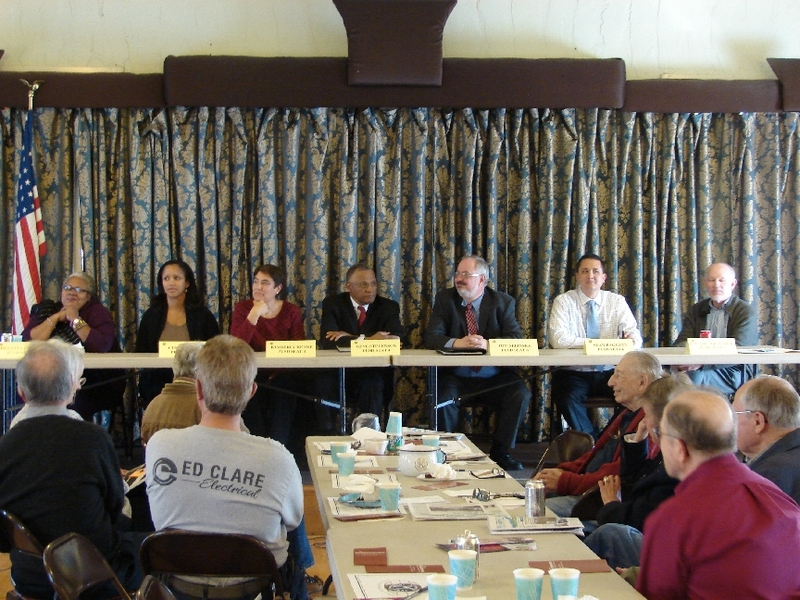 Renatta Cooper, incumbent candidate for Seat 2 and Cushon Bell, write-in candidate for Seat 2, Kim Kenne and Gene Stevenson, candidates for Seat 4, and Tom Selinske (incumbent), Sean Baggett and Gaylaird Christopher, candidates for Seat 6, all made their cases to Kiwanians as to why they feel they should be the person chosen to sit on the School Board for their respective districts when the PUSD election is held on March 8th. Candidate Bell arrived quite late, after texting moderator Susan Henderson that she had a pressing business matter that was going to delay her. That’s why her statement is out of order in the attached video. Unfortunately, there were times when folks in the audience were speaking without a microphone, so there are times when you may need to turn up the volume on your computer briefly to hear the speaker, but for the most part, the audio came out fairly well. Several of the candidates spoke of the challenge of replacing Superintendent Edwin Diaz, who announced his resignation last week. There was much concern about budget cuts. Some favored a return to the curriculum of vocational training/shop classes. One candidate stated that he was in favor of Sierra Madre/Altadena having their own seat on the Board, to the point of being willing to give up his own seat, should he be elected. The same candidate suggested he would also be in favor of Sierra Madre seceding from the district, if the community was united behind the move. Rather than try to sum things up, though, I think it’s probably best if I let the candidates speak for themselves, so you can hear what was said in the context it was stated, and draw your own conclusions. Click play on the video.